Girlequin's are realistic life sized mannequins, ideal for teaching and experimenting with photography, that have been selected, built, had wigs added and clothed to suit specific functions and artistic objectives. Some wear jewellery, watches and shoes. Developed originally as training aids they have a number of other uses as well as being an art form in their own right. They are not mass produced, each being an individual. They are particularly useful for experimenting and learning photographic and film lighting, as they do not move. It allows you to set up lighting and see the difference between different methods, use reflectors, and combinations of lighting and other resources. Even when using a live model they can be useful in that you can set up lighting while a model is getting changed, in the same way that in the 'movies' they have people who can stand in, to allow cameras to be set up and lighting arranged. They come apart for storage, transportation, and so you can dress them. In most cases the arms come off, in many cases the hands as well, most have one leg that is removable and the second is a part of the lower torso, so the body breaks below the waist. The kneeling model has a full body and head, and just the individual arms and legs come off. The wigs are held in place by Velcro, and in the same position allowing wigs to be exchanged between models. They look quite different when their wigs are changed. Standing models have a glass plate and stand, that fits either into the bottom of a foot, or you can use an extension provided that fits into a socket in the leg allowing shoes to be worn. The sitting model has her own skin coloured small stool, although she will fit on just about any dining or office chair. The parts go together with a slot and twist mechanism, but if you are going to have one in the same position and outfit for some time it can sometimes be worth running masking tape around joints under clothing so they don't fall apart when you are moving them, joints outside of clothing you tend to spot when they are out of alignment before they fall apart. They are hollow and quite light so carrying them around is not a problem. Currently some have limited limb movement but they are solid, rigid models, they are working on some designs that would have flexible models, with more moving parts and models that are soft and warm to the touch, as well as some being able to move on their own and some having breathing simulation, which will make them only a heart beat away from coming alive. These enhancements won't make that much difference to photographers but as an art form and for some other simulations it will be useful. In the future when you are away from home, you will be able to leave one appearing to occupy the house, putting off opportunistic thieves, perhaps sitting reading a newspaper, breathing, moving, and with a little more automation, turn on lights and the like and you will feel that your Girlequin house-sitter makes a good investment. As many people don't want to be the first person in a restaurant, imagine a group of happy customers enjoying their meal, always, as they are automated Girlequin's. I am sure you can see many other applications. I will also leave to your imagination what a warm, soft, flexible, and life like Girlequin with working body parts will be able to offer, a small section of these are available now. Most will be moulded from real people, and be produced in limited editions. The intention is that no two should ever be the same. A set of medical Girlequin's are currently being constructed, for use in teaching medical photography. The five featured on this page are all used by Camera Images to train photographers, selected to allow a range of poses and present a series of challenges. Camera Images have also commissioned the production of a second group with medical conditions, to be used in training medical photography, and then will be adding a wedding party. Camera Images use real live models as well, so the Girlequin's have not replaced them, but offer the opportunity to gain experience and experiment under controlled conditions, allowing more rapid progress, then bringing in live modes where needed to gain wider experience and build portfolios. In some training they use a tethered camera connected to a computer allowing the nearest thing to a photographic simulator for mastering some photographic skills. Using the Girlequin's works well, as often photographers are either nervous when first dealing with models or go the other extreme and are so interested in chatting them up that they forget the purpose of being there is to learn photographic lighting and techniques. Many people at first feel slightly flustered, they don't want to keep the model hanging about so try to go faster, rather than taking their time, while with a Girlequin these and other problems go away, and they have all the time in the world, well as long as their training session. Real models however are needed for practicing posing, to gain experience handling models and to build portfolios. Having gained experience with Girlequin's moving on to real models is a smaller step. When visiting Camera Images, the seated model Karen, is present at most training sessions, so clients always have a convenient model to point their camera at when required. The kneeling underwear model, Suzie, is used with Karen for teaching lighting and portraiture. Suzie is also a fully featured underwear model allowing page 3 style experience. Emily lays semi posed on a couch in the hall and around half the people on arrival speak to her. She is useful for demonstrating lighting over a distance, and depth of field. Katie stands around all day always with a hand up on her hair, in a model like pose, often standing in for live models and allowing a range of experiences. Rachel stands in the shadows allowing experience to be obtained with back lighting as well as photographing darker skins. She is the most difficult one to photograph. Other advantages include that they don't have to be paid, they never answer back, you can't get into trouble playing with these, and its unlikely others will get jealous of the attention you give them, even if you treat them to a new pair of shoes, or some jewellery. Unless you are running a training business or a studio it's unlikely you would be able to justify a whole coven of these beauties as an art feature, and if you want it in your home of office then the seated Girlequin, Karen is the best first buy, she can be seated at a table, or on just about any dining style chair, she is fully dressed for the office but as she is at home does not have her shoes on, she has a watch and other jewellery. If you are going to put her away when you are not using her for practicing your photography then the kneeling model Susie, is the best first Girlequin, she comes with two different bikini sets and a short dress, plus is detailed and well endowed for topples shots. Both of these models currently cost £1,250 post free. The posed model, Emily, is a good discussion art piece, but not as generally useful from a photographic viewpoint. She is slightly cheaper at £1,195 post free, while the two standing models, Katie and Rachael, cost £999 each post free. Emily has a full outfit, some jewellery, but no shoes, while Katie stands around in a mans shirt and her shoes only, but has a dress as well. Rachel has a top, patterned trousers and socks. Both Katie and Rachael come with stands that allow them to be stood without socks and shoes, with a socket in a foot or with socks/shoes using an arm that connects to their leg. 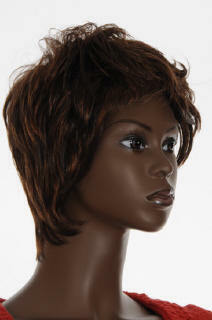 You can also order a model but with the hair from another model, if you like at no additional cost. The soft, warm and flexible Girlequin's with more working parts start from £15,000, but as I have hinted are not designed with photography in mind. You can also commission other Girlequin's, as single models, or as installations (works of art in sets). There are many articles on flash, lighting and reflectors in the Lighting and Reflectors Section.